This book was the Reading Club assignment for January 2019. 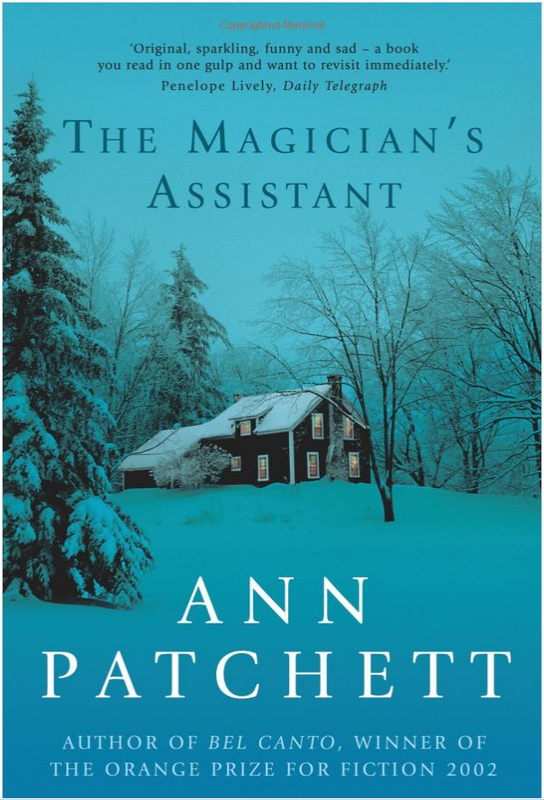 The magician’s assistant, by Ann Patchett, is a family story under odd circumstances. Set around the same time it was published (1997), it touches topics that were part of the life of many, although not part of the mainstream news at the time: violence in the family, how life differs in small and big places, homosexuality, and AIDS. It’s told from the perspective of Sabine, the best friend, assistant, and wife of Parsifal, a homosexual man that lives with Phan, his partner. Sabine and Parsifal marry when Phan and Parsifal are diagnosed AIDS so Sabine can inherit their state. She is in love with Parsifal. Upon Parsifal death, Sabine is shocked to learn that his family is alive, despite what he had told her. They are from Alliance, a small place in Nebraska, and want to visit Los Angeles, where Parsifal lived, to get a sense of how life was for him. Sabine agrees and tours them for a few days, in the hope of discovering why he hadn’t told her the truth. Through this tour, you are acquainted with the main characters. It’s like a warm-up before the real match. Parsifal’s family turns out to be fine people, and the tragic event that made Parsifal break with them is revealed to Sabine. Fast-forward: she’s invited to a wedding in Nebraska, which she agrees to attend as an opportunity to connect with Parsifal’s childhood and find some rest. So we now have Sabine embedded in an environment so different to hers: a small town with little to do and few opportunities to reinvent yourself, a conservative society, and a family that had struggled (and still is) with domestic violence. This is the real match. We have now a vessel (Sabine) to cross the river of understanding: in one shore, a liberal society where you can be whatever you want; in the other, a conservative community that pressures you to be like the others. The story ends with the liberal Sabine realizing that the only way that conservative family can break the vicious loop they find themselves in is by providing them an escape hatch. Perhaps this is also the message Ann Pratchett wants to convey: let’s be less judgmental and more empathetic. This book is beautifully written. The rhythm is slow but steady, with enough details to fill your imagination but not too many to get in the way of the story. The use of magic as a second thread and the dreams to feed us information was great. It is a straight story, doesn’t have many layers to it. To a modern reader, it may feel perhaps a bit dated and certainly stereotypical in some ways (Nebraska, anyone? ), but if you consider the time it was published (1997) I think it was actually a very brave book to publish. This book was the Reading Club assignment for December 2018. This is a character-driven story. Jules and Nicole are successful by most standards: they are wealthy, well-known, and have family and friends. They are also suffering an inner transformation. Jules’s parents have recently passed away and that event is the catalyst that pushes him to reconsider his life, put an end to his marriage, and give away his possessions. Nicole is a writer that’s suffering a block that has lasted for too long and has triggered an irreversible inner change. They’re both non-practicing Jews living in NYC and visit Israel as part of his longing for something else in their lives. Chapters alternate Jules and Nicole. 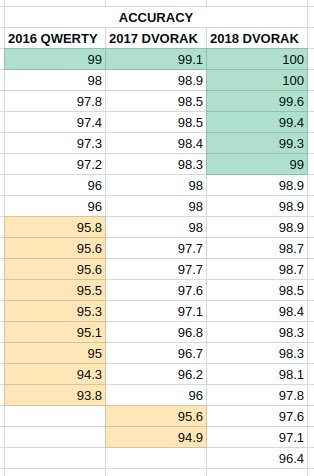 Jules is written in the third-person while Nicole is in first. 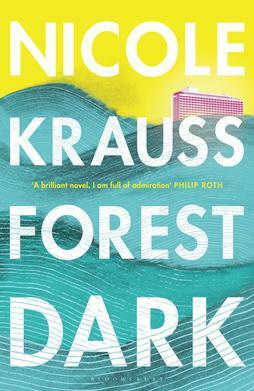 Nicole’s part feels like a stream of inner thoughts at times, like a diary: raw, unconnected, unpolished, and without a clear place in the story. Jules’ is a bit more focused, but still rambly. The plot has some under-developed areas and dead ends. I think this is intentional. Based on how well some parts are written and some vivid and rich scenes, I don’t think the author lacks the ability to write a novel. To the contrary, it felt like a sort of a meta-layer to the story, a post-modernist experiment to subvert the implicit reader-writer contract. The reason I think this is because, in the story, Nicole is fond of Kafka, and the fact that Kafka’s work was published after his death (although he wanted it buried because he considered his work incomplete) has a big role in the story; to the point that she plays with the idea that someone else has heavily edited Kafka’s manuscripts and created Kafka’s mythology. It leads me to believe the own Forest Dark is a little unfinished on purpose. I’d say this book isn’t for everyone, I’d recommend a little research before reading. Although I tried hard to engage, the ratio of words that contribute to the story VS words that sound smart but are empty was remarkably low for my taste. It ended up being a little more experimental than I like. What if, in 1983, the polish national resistance was slaughtered after a terrorist attack attributed to them? What if, as a consequence, in 2003, Poland would be governed by an authoritarian state, the Iron Cut would be still in place, and Al Gore the president of the United States? That’s the premise of 1983, the first Polish tv-show produced by Netflix. The main characters are Kajetan Skowron, a law student whose parents were killed by the bombs; Anatol Janów, an investigator who wants to get back his old job after a rank demotion; and Ofelia Ibrom, the leader of a rebel movement whose life goal is to kill the members of the government. It follows dystopic arcs that have been filling our TVs since the beginning of the decade, from Hunger Games to The Man In The High Castle. The aesthetics resemble those of cyberpunk such as Altered Carbon and Blade Runner – music, photography, and plot are dark. Also, like them, the focus is on a criminal investigation as a MacGuffin to discuss bigger topics. It has obvious connections to 1984. The plot reminded of Death of a Red Heroine by Qiu Xialong, only that 1983 is an alternate reality, not historical fiction – its goal is to comment on the present, not the past. One of the things that dragged me to this film was that it was created by Polish for Poland. I thought that was very bold and gave it more load, so to speak, given the country’s past and present. 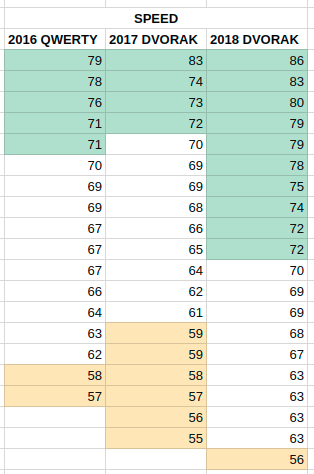 The 1st season lived to its expectations and entered the top-three tv-shows I’ve seen in 2018. To overcome mediocrity, you have to find the right people. People who could actually achieve something through collaboration, who think beyond what they are responsible for on a daily basis. 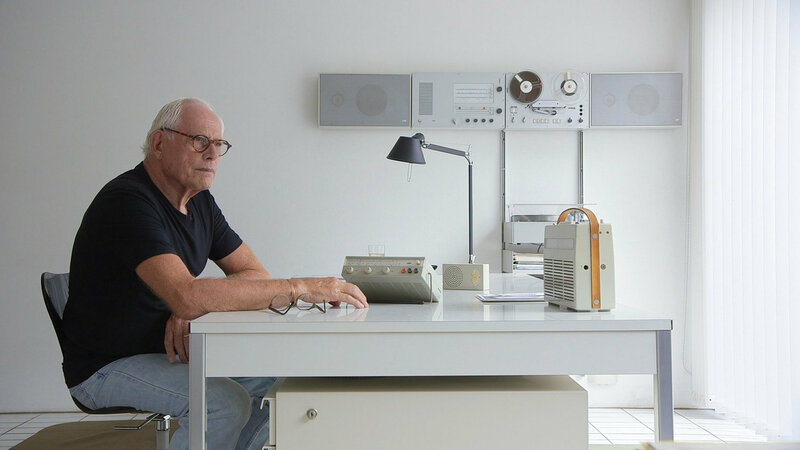 In 2016, I was one of the 5.000 backers of Rams, the first feature documentary about Dieter Rams by Gary Huswitt, who has directed other design documentaries such as Helvetica, Objectified, and Urbanized. I’ve received my copy a few days ago and just watched it now. 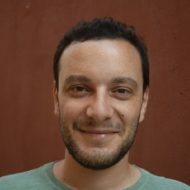 The film gives a sense of Rams’ beliefs and values, connecting his work to the Ulm School of Design and the era he lived in. Through interviews with him and others, I discovered a quiet and private person, who is also opinionated and vocal about the way of design. I think it’s a great documentary, although I couldn’t help but wish it could expand a bit more on his role as Braun’s Design Director – the day to day of being the proxy between the design group and the rest of the company, the interactions among the members of the group, the design process itself, etc. This book was the Reading Club assignment for November 2018. William Maxwell published this book in 1937, and I’ve read it +80 years later. 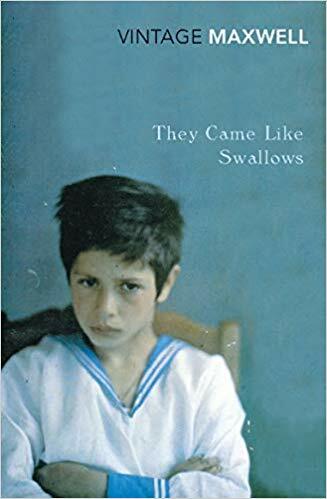 One of the things I liked about They came like swallows is how the story builds on the use of simple words and ideas, how it doesn’t need complexity to give the scenes a sense of fear, warm, or excitement. It just describes what’s happening, it is honest and beautiful writing, it isn’t pretentious but real. Perhaps that’s why it aged well. From the perspective of three males -husband and sons- we are told about the accounts of a middle-class family in the United States at the beginning of the twentieth century – specifically in the Autumn of 1918, in the middle of the Spanish flu. We’re introduced to the story from the perspective of the little Bunny, an 8-year old which comments on the adult world from his perspective. Then goes Robert, Bunny’s big brother, which I was prepared to hate after reading the first part – what I’ve got instead was a nuanced teen with his own struggles. Finally, the circle is closed with James, the father. Through the perspectives of these men at different stages in life, we learn what the author has to say about life, which is well captured by the title: swallows come and go, so does life. This book has many angles a reader can enjoy: domestic realism, a historic account of the effects of Spanish flu at the beginning of the century, etc. One that I haven’t seen talked about is feminism and matriarchy. I believe you could read this as an homage to spouses and mothers of all times, but also as a plea for stopping offloading work to them, as for Elizabeth is the one that does the emotional labor, plans the future, and takes care of the house. I don’t think that was the intention of the writer, but the fact that she doesn’t get to say anything but through the voices of the loving men around her is just the perfect metaphor to channel that kind of message. This short story was, in 1974, the recipient of the Hugo and nominated for the Locus. 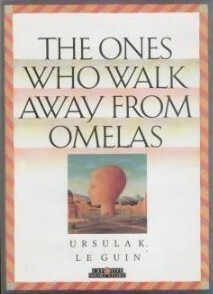 I was intrigued by the title by a long time, but it was only after watching the documentary about Ursula K. Le Guin’s life and work that I learned that The dispossessed was how Ursula reacted to this question: where do the people who walk away from Omelas go? I was bound to read it. It took me half an hour to finish it. I haven’t read yet any of the Earthsea stories but there is no magic or dragons in Omelas, so I’d guess this is more of a Hainish taste. Being already familiar with the plot, it lacked a climactic moment and the story didn’t spark any more thoughts than I had already given to the topic when I first learned about it. It’s probably wise to avoid related material about short-stories you want to read if you don’t want them to be spoiled, but the advice is particularly true for this one. I wish I hadn’t read anything about it. I still liked how it’s built on simple language and a raw metaphor anyone can relate to. Reading it helped me to consolidate this idea of Ursula being not a novelist but an anthropologist who happens to be interested in fictional societies. Writing stories about non-existing societies was her way of researching a topic, live with the locals, and explaining to us what it was like living in that world. The anthology I bought includes an intro commentary by the author about how she came up with the Omelas word which was also fun and humanizes the way I picture writers work. To learn to make something well can take your whole life. And it’s worth it. The documentary that explores the life and work of Ursula K. Le Guin is now being screened in several festivals and events. Check out the dates and join one if you can. As a backer of the project, I had early access to the film. It’s only a few months since UKL has left us, so it came to me with a feeling of farewell and closure. I usually work with an external ThinkPad keyboard, which matches the configuration of my laptop’s. Lately, though, I’ve been using my laptop’s keyboard more and more. At some point, Lenovo decided to design the 6th keyboard row in a slimmer way and switched the standard F1-F12 keys to function keys (volume, brightness, etc). This is very inconvenient if your work involves typing a lot, as editors tend to offer handy shortcuts with the F1-F12 keys. This is how you change the default configuration: FN + ESC. 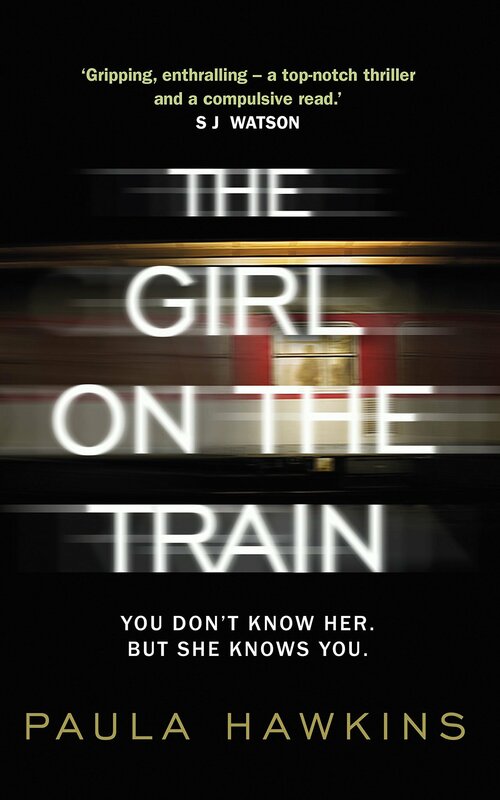 This book was the Reading Club assignment for June 2018, the last before the summer hiatus. This is a thriller that builds slowly. Rachel is the main character, she’s a depressed, mentally unstable, and alcoholic woman that can’t cope with having lost her husband to another woman. Megan is also lost and has her own difficulties to find anything that fills her in life. Anna is a housewife and mother whose life goals are fulfilled. Like in a jigsaw, we’re presented with partial and unreliable information about what’s happening to each one of them, which helps to build and keep the narrative tension. Through the story, they face different facets of emotional dependency, abuse, or personal struggles with life. There are some scenes that I particularly liked it because they embody so well one of the themes that give shape to the zeitgeist of our era: Rachel, in her daily train trips to work, invents any kind of stories about the people she sees through the window; their lives are always happier and out of struggles. We know that’s not true, but she doesn’t have that information. This made me reflect on our interactions through the so-called social networks and how they can be so much detached from the real ourselves in so many ways. At times, I was so dragged to the story, that I even found myself reading while walking to board a plane.